1. The Red Sox finish on the road, and 12 of last 21 are on the road. The Truth: The Red Sox are the only AL East team with a winning road record. Including the two wins in New York in the most recent games, the Sox are 39-32 on the road, .549 winning %. Also, all of the games are versus the AL East ( except two in Colorado and the Sox are 2-0 against the Rockies this year) and the Sox have a 34-25 against the rest of the AL East. 2. The David Huff Fallacy aka the Red Sox cannot hit left handed pitching. The Truth: Before the start of the current Yankee series, the Red Sox had the EXACT same winning percentage versus left handed and right handed pitching. .596. The Sox were 28-19 versus lefties and 56-38 against right handed pitching. And with the re-emergence of Will Middlebrooks, the awakening of Mike Napoli, and Shane Victorino turning himself into Jose Bautista as a right handed only batter, and even the return of David Ross, this lineup is no longer heavily tilted to the left. 3. The vaunted Tampa Bay Rays pitching staff will prevail over all in September. Again going into Thursday'a action the Red Sox had given up as a staff 566 runs in 141 games. The Rays had allowed fewer, but it was 555 in three fewer games! At that point the Sox had given up an average of 4.014 per game, while the Rays All World( supposedly) staff had allowed 4.021. Basically the same, but the Sox had given up fewer per game by a fraction. By the way going into Thursday's action the AL team with least runs allowed, and by a margin of 30 runs or so was Kansas City! (Although the 16 the Tigers put on the board against KC last night puts a dent in that). So on this September 7th morning with 19 games left for Boston, the Red Sox hold a 7 1/2 game lead over the Rays, 9 1/2 over Baltimore and 10 over the Yankees, the question is " is the AL East race over?" More on that later this weekend. P.S. One last updated truth, with an apparent foot injury bothering Jacoby Ellsbury, Jackie Bradley, Jr. has been recalled and is starting in center field. With the aforementioned David Huff starting for New York, Xander Bogaerts is in the lineup at shortstop for Stephen Drew. 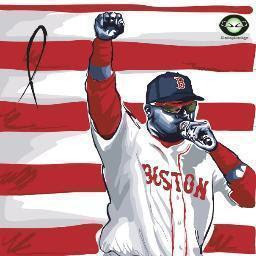 The Truth: This will be the first of hopefully hundreds of Red Sox starting lineups which includes both Xander Bogaerts and Jackie Bradley, Jr.
With another big win today it is safe to say that the AL east "race" is over. Bogaerts had his biggest day yet as a Red Sox player. Also, hopefully the first of many, many more. 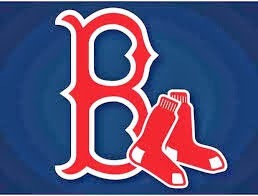 2013 Red Sox are Going to the Post Season! Is the AL East Race Over?